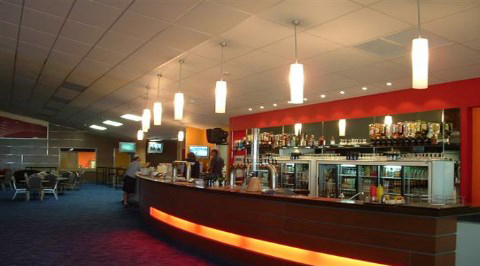 Enjoy everything the New Plymouth Club has to offer. In the heart of the city, the New Plymouth Club boasts some of the most beautiful, uninterrupted views of the Tasman Sea and New Plymouth Coastline. Our multi-functional facilities are the perfect place to connect with the community and other club members while enjoying entertainment, delicious food and the many games and activities we have to offer. New Plymouth Club began after a special meeting chaired by the mayor of New Plymouth in May 1908. The meeting was called in response to increasing public pressure for a young men’s club as a junior organization to the gentlemen’s club (the Taranaki Club). Women were welcomed to become full members of the Club in 1975. The Club started strong but then declined to well below 200 members in the early days. But thanks to sound leadership, New Plymouth Club pulled through to become one of the largest chartered clubs in New Zealand. Today the Club is signing up an average of 50 new members each month, with a fully subscribed membership of well over 5200 people. New Plymouth Clubs attraction is obvious. It is a clean, safe and secure environment for members to visit and enjoy fellowship and socialising. Members visit the Club with their families to enjoy a drink and meal and to enjoy the various sporting activities – this epitomises what a modern day Club is all about.